I will never understand people who aren’t at least mildly wary of PED use in racing. After Ben Johnson, Bonds, McGwire, Clemens, Lance & the Sochi Olympics you still think what we are seeing is normal? And that’s dismissing the 7 sudden deaths. Mike often talks about the past (and sometimes current) use of illegal drugs on horses in the sport. He gets worked up why some people believe everyone is as pure as the driven snow and would not risk performance enhancing for financial gain, while in other sports it's common. Leaving aside any specific trainers, past or present, in the broadest sense, I think he makes a very good talking point. In Scorecasting, the authors studied drug use in baseball from various angles. Although they concluded there are many reasons for using drugs in the sport, one stuck out - opportunity cost. If the player had little recourse in his life, he was more likely to use banned drugs. If he had other opportunities, he was less likely to. 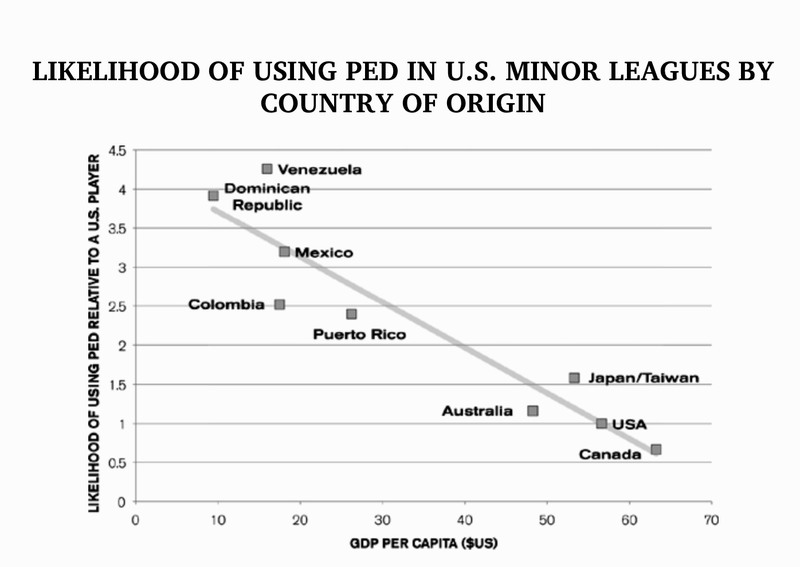 This argument was buttressed with PED use stats from minor leaguers, many of whom were from other countries far less rich than the U.S.. 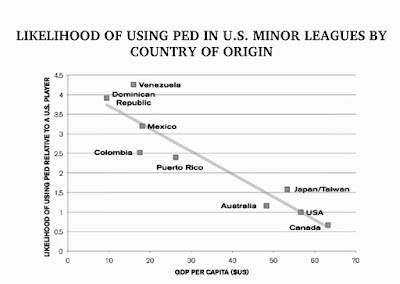 They found the country's GDP was directly correlated to PED use. So, these kids and those looking to make a buck through them put stuff into their veins at a higher rate to make it. The risk is worth the reward. In horse racing (this at least theoretically) should be the case (pardon the pun) on steroids. Not only does a trainer not fear reprisal (these things can take years to adjudicate, and finding blood builders in a test is very difficult in the first place), he or she does not have to inject something dangerous into himself, herself or another person, it's into a horse. An animal. If he or she is caught, well, what's the big deal. Most of the people caught with EPO already who were given six figure fines never pay them. If they took care of their money they're sitting by the beach at the lake house. Is it fair to think everyone will act like economics says they should? Of course not. Is it fair to say we're naive to believe at least some will act like economics says they will? I think so. Horse Racing Attendance Facts,..... or Myths?